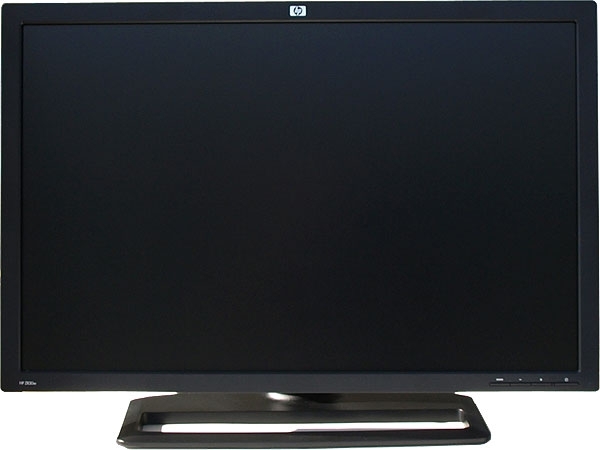 HP ZR30w 30-Inch S-IPS LCD Monitor "How should you go about determining what size monitor to buy? It's simple - go out and purchase the biggest, baddest display you can afford, because really, you only get one shot at this thing called life, so why waste it staring at a 23-inch panel? If you're still not convinced, consider that, more than any other component in your entire build, it's the monitor you'll use to its fullest 100 percent of the time. You can't say that about your dual-videocards, six-core processor, or even your keyboard, but it certainly applies to your display, the one piece of hardware that brings the entire build together." I've currently got a 26 inch monitor which I think is huge on my desk, though I must admit I am getting used to the size now, but 30 inch... it must look massive on a desk. I think if I was to replace my current monitor, rather than get an even bigger one, I would probably downsize and get three 24 inch monitors and stretch the desktop across all three. I find I am more productive that way. Anyway, if you prefer to have one big monitor, or even three of them, then check out this review of the HP ZR30w 30-Inch S-IPS LCD Monitor.